Veronica N. Cuyugan: Spring is Coming!!! The spring countdown is ON! I am so incredibly stoked for spring! Flowers, sunshine, boat rides, running outdoors. Tons of salad and fruit. 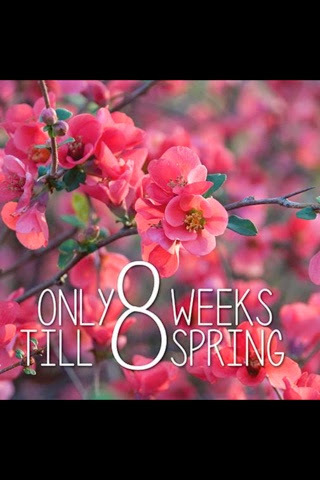 What are you most looking forward to in terms of spring?